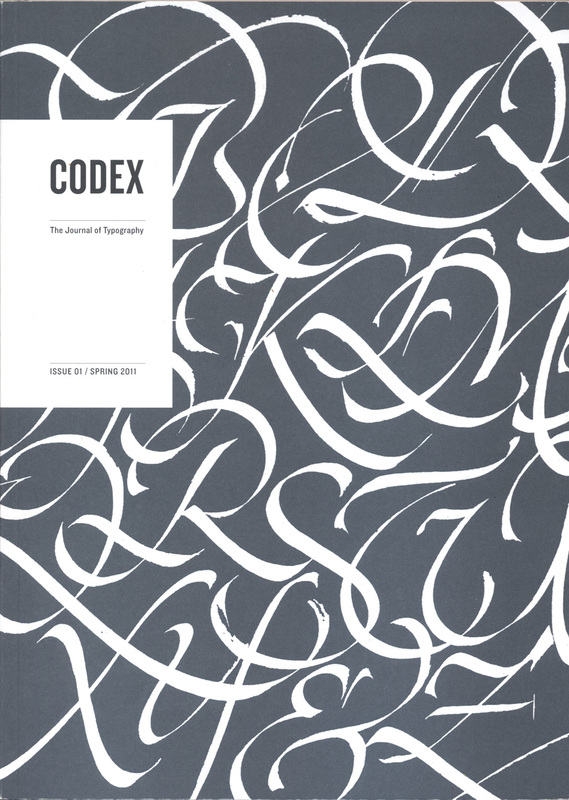 For those unaware of Codex, its debut issue, published in spring 2011, contains a wonderful mix of material, both high and low, scholarly and popular: a review of the typeface Huronia, a paean to Ottmar Mergenthaler and the Linotype, an interview with type designers Christian Schwartz and Paul Barnes, a proﬁle of Milanese calligrapher Luca Barcellona, an historical survey of early printed initials, a tribute to Renaissance printer Erhard Ratdolt, the story behind Craig Eliason’s Ambicase font, my review of three books by Dutch type historian Hendrik Vervliet, a look at Emil Ruder’s typography, and much more. So far it is a worthy successor to legendary type magazines Alphabet, Motif, and Typographica. Because Boardley was willing to run long, scholarly articles as well as short, punchy ones, the quality of its content surpasses that of Baseline and Eye. Visually, Codex is beautifully designed and printed, though it falls shy of the standard set in that regard by Hans Dieter Reichert at Baseline. What is exciting about Codex is that it is running against the current wisdom that print is dead. Boardley is using the success of his website to propel the readership of “dead trees”. It is a strategy that I wholeheartedly agree with: use the web for short, immediate articles and news and use print for material that is longer, more in depth and likely to endure. I sincerely hope that Codex 2 maintains the quality and momentum of its ﬁrst issue.